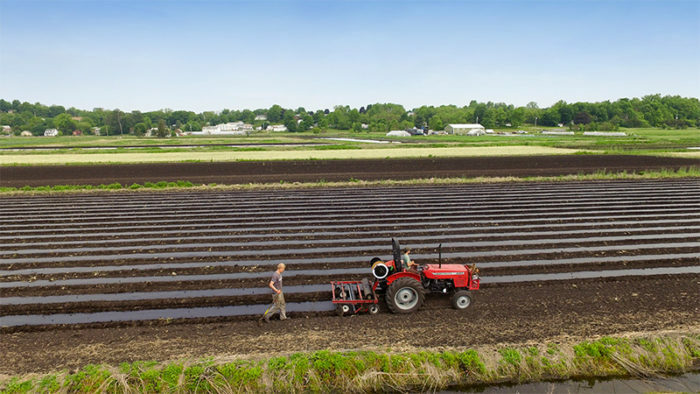 The Chester Agricultural Center is helping beginning farmers seed successful, diversified organic farms in fields formerly used for commodity onion production. As farmer Shayna Lewis made her way out to one of Dirty Boots Farm’s three fields to pick okra, she used her bucket to push aside knee-high weeds creeping into the path. “Don’t fall in the ditch,” she called out to a reporter crossing a thin wooden plank bridge supported by inky, sticky soil. Within minutes, two of the biggest challenges of farming in the Black Dirt region of Orange County, New York, were on display: weed pressure and flooding. For the past several decades, most farmers in the region about 50 miles northwest of New York City have dealt with the first of those challenges by using chemical herbicides. Now, an initiative to convert about 200 of the acres of the famously fertile soil to organic production—to improve environmental outcomes, benefit the local community, and help beginning organic farmers get started—is trying to change that. The Chester Agriculture Center (CAC) in Chester was created in 2014 when a local family foundation acquired nearby land. It is currently home to seven small organic operations, including Dirty Boots Farm, Sun Sprout Farm, Rise & Root Farm, and Dig Inn Farm. Where a large, chemically treated onion farm once flourished, now a diverse plethora of organic vegetables—from tomatoes, basil, and greens to fairytale eggplant, okra, and cardoons—is being harvested. While its proximity to city markets gives the operation a financial leg up, challenges still abound. Nevertheless, could this project serve as a model for how to help a new generation of farmers committed to sustainable practices succeed in other locales? In referencing compost, Rogowski was talking about the concentration of organic matter in the soil—which experts say is typically between 30 and 50 percent but can approach 90 percent in the region, making for incredible fertility. If typical soils are milk chocolate, the black dirt is 90 percent cacao, special dark—in terms of both jet-black color and nutrient-density. Most of the 26,000 acres of Orange County’s black dirt, including Rogowski Farm, are in a section of the town of Warwick called Pine Island, but patches of the dirt, like the parcel in Chester, are spread out in neighboring towns. For a long stretch of history, the fertile soil was hidden in swampland. In the 1800s, settlers figured out how to drain the water from the fields, and Polish and German immigrants began farming it. Pungent onions grew particularly well in the area thanks to the soil’s high sulfur content, and the region became a hotbed of commercial onion production in the second half of the 20th century. That interest encouraged Guy Jones, a farmer who shares Rogowski’s stature as a pioneer of organic agriculture in the region. Jones owns Blooming Hill Farm in nearby Blooming Grove and also grows vegetables on the black dirt in Chester. When Jones heard the conventional onion farmers surrounding his land were looking to sell, he began reaching out to people in his network to see if anyone would be interested in buying it and converting it to organic production. 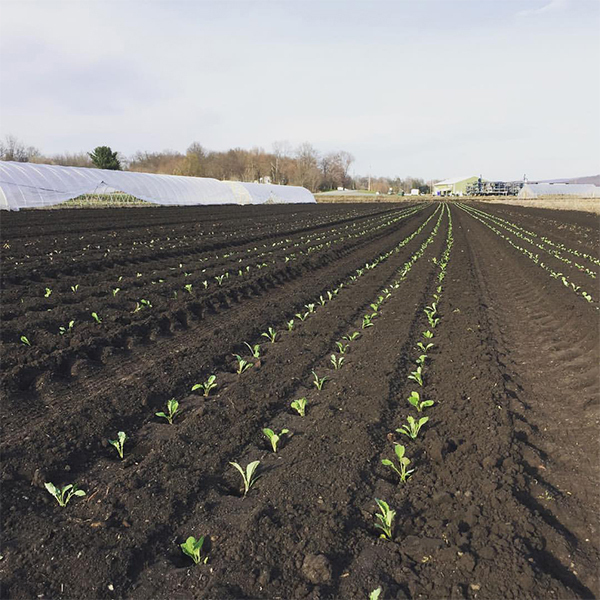 In 2014, the foundation purchased the former onion farms and established the Chester Agricultural Center with a mission to preserve and revive the black dirt using organic growing practices. It also aimed to support a new generation of farmers via long-term, affordable leases. The foundation later brought in eight additional investors. With logistical help from Northeast Farm Access, CAC began offering 30-year leases to beginning farmers. “The idea was really to provide secure access to land,” Stern says, adding that those farmers had to commit to working the land a specific way. The leases include provisions like using organic practices and fair labor practices that ensure fair pay and housing for workers. 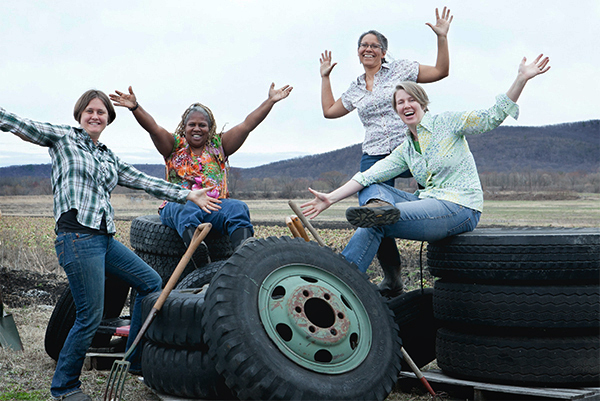 Rise & Root Farm was founded by four New York City women, including food justice and urban farming advocate Karen Washington, the founder of Black Urban Growers. It sells its produce primarily at markets and to chefs in the city. 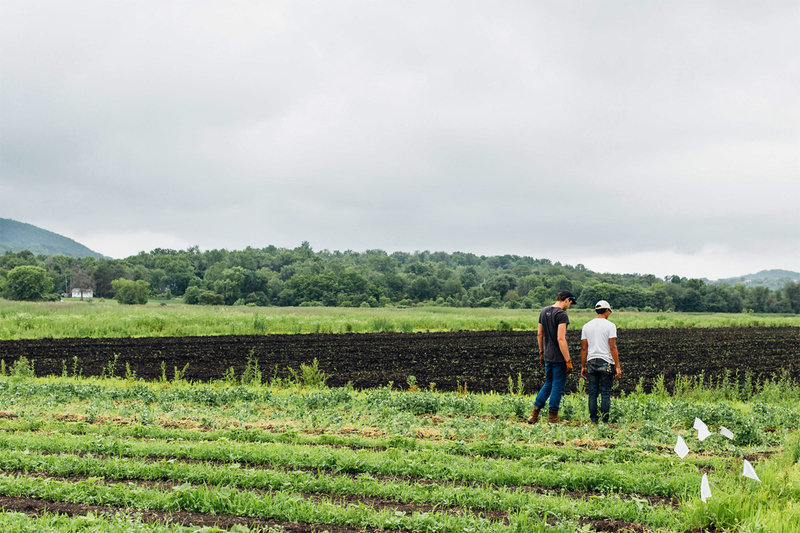 Dig Inn Farm grows vegetables for its parent company, the fast-casual New York City restaurant chain Dig Inn, on 13 acres. During one week in August, farmer Larry Tse says he was harvesting about 1,000 pounds of tomatoes, 900 pounds of eggplant, and 2,000 pounds of chili peppers a week—to name a few standout crops. Sun Sprout Farm started with a few acres of vegetables and flowers and has since expanded to 36 certified-organic acres. Meanwhile, Dirty Boots Farm’s Lewis and her partner Matt Hunger are planning to lease an additional 3.5 acres next season to bring their farm up to nine acres. 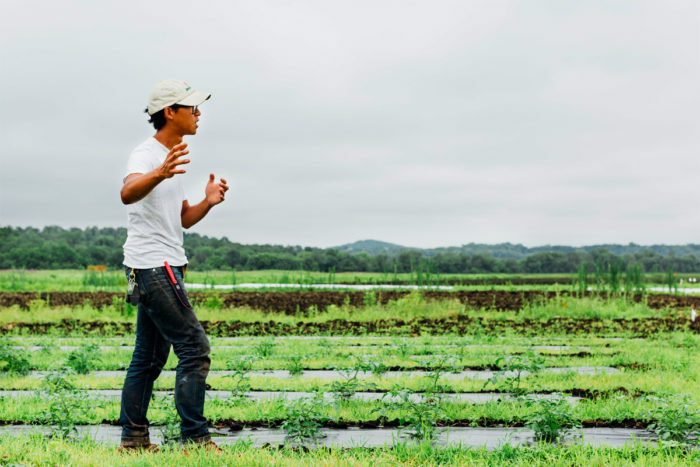 They sell via a CSA in Bushwick, Brooklyn, and through the app Farms2tables, which connects small farms with restaurant and institutional buyers in the Hudson Valley and New York City. CAC manager Lucinda Poindexter says that the Center wants to encourage more collaboration and knowledge sharing through events such as workshops, and it is also looking into other ways of supporting the farmers, like building out a commercial kitchen that would allow for on-site value-added processing. More recently, CAC was able to secure a conservation easement, which means the land can only be used for agriculture in perpetuity. By taking the possibility of real estate development off the table, easements help keep farmland affordable. CAC’s success ultimately depends on the ability of its farms to survive as businesses—and organic farming in the region comes with plenty of challenges. One of the biggest being weed pressure. “We do have pesticides and fungicides we’re allowed to use, but there are no herbicides approved for organic, so our biggest expense is labor,” says Dig Inn farmer Larry Tse, “and here in the black dirt it’s kind of a losing game” when it comes to the never-ending fight against weeds. Farmers in the area who do use herbicides, Lewis says, have told her they face a similar uphill battle, but with the added cost of chemicals. Preventing flooding is also critical; one of the most important services CAC provides its farmers is overseeing a system of ditches that pump water out of the fields. Last summer was unusually rainy, and at one point, issues with the pumps prevented the water from draining properly. Lewis says one more day of rain would have led to the fields being completely flooded, decimating the crops. Cheryl Rogowski, in fact, lost the original Rogowski family farm to foreclosure, after flooding caused by Hurricane Irene. Her fields were under water for three weeks, and she lost 80 acres of produce. She later relocated to a smaller plot of land. Housing is another challenge. Property costs and rents in the region are high, and the farmers have struggled with securing affordable housing for themselves and their workers. Finally, as with all beginning farmers trying to make small farms financially sustainable, it can be hard to find the proper sales channels. Some CAC farms sell at big farmers’ markets in Manhattan and to city restaurants, while others operate city CSAs. But trucking produce to the five boroughs is time-consuming and expensive, and selling to local buyers in Orange County has not been a reliable source of income. Lewis works seven days a week during the growing season and has another job in the winter, when she also handles planning for the next year. Her partner also maintains another job. “Basically, I think the only reason it does work is because CAC is pretty flexible and you know, the bottom line is not the bottom line,” she says, referring to the organization’s flexibility. As CAC revs up to tackle ways it can foster the growth of more small, organic farms in the Black Dirt Region and beyond, those challenges will have to be addressed. “We really see this… as a part of a network of people interested in changing the food system in the Hudson Valley,” the Ralph E. Ogden Foundation’s Stern says. 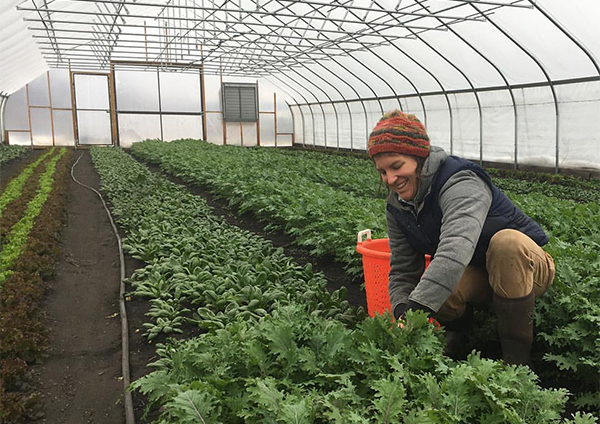 She’s excited, for example, to work on more collaborative efforts with long-time organic farmers in the region like Rogowski and Jones and other organizations like the Hawthorne Valley Association’s Institute for Mindful Agriculture.